Christmas comes soon, and Apple Books Store will close its doors for the holidays. Publishers are required to send their works according to a prescribed schedule. So I updated the user guides in advance in French and in English for all three versions Lite, Routing and Routing & Navigation. The first tutorial by Navigation Mac appeared in 2012 in ’iBook Store in French : " Prendre la météo par téléphone satellite – MacBook – iPad – iPhone » is regularly updated to meet changing : update illustrations and videos, update satellite phones and communication pricing, update new relevant applications. It's a long time since I had made a reading note in this category. Lack of time, or lack of discovery ? 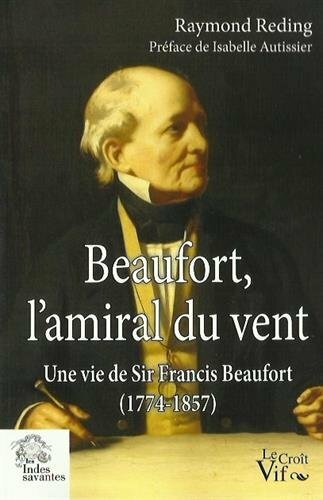 I found again a real literary enthusiasm from reading this excellent book by Raymond Reding : " Beaufort, Admiral wind ». In February 2016 I wrote a laudatory article about this digital version of Reed's Nautical Almanac, a wealth of information on the coasts of western Europe. Alas, Bloomsbury editor, which bought Reed's editions a few years ago, has decided otherwise. The end announced earlier this year was conducted in September. Those who are already owner of the app, with a subscription “all areas” can continue using it. However all daily information from an internet connection (weather, MetOffice weather maps, tides, aso.) will no longer be updated, nor the permanent nautical and port information. Fortunately the latter are present in memory in the application, and still usable a few years. Bloomsbury provides only the traditional paper books, accompanied by a perfectly indigestible PDF version. [Update December 30 September 2018] Warning : MacENC the application is no longer supported by its developers. It no longer reads raster maps and Navionics charts are no longer available. Application abandoned to date.